Dr. Hasson placed 1863 grafts in one session for this patient. He is six months post-op in these photos. Wow, very natural. Do people just lose the crown and still have everything in the front ? Is that common ? My crown is ok but my hairline is going fast. Who knows maybe he had the front done already before this. Most doctors prefer to fix the front first anyway. » months post-op in these photos. Absolute excelence as usual from Hasson. Do you have the full bio pics? Absolutely natural. I heard the swirl is the most difficult to do, congrats to the patient. Can you tell me how big is his bald spot? Mine is about 2.5 inches in diameter, will 2000 grafts be enough? It is difficult because the hair keeps changing direction in the crown. It takes really good artistic skills to mimic what nature gave us. Excellent work by Dr. Hasson. » diameter, will 2000 grafts be enough? It’s hard to tell from the pic how big. 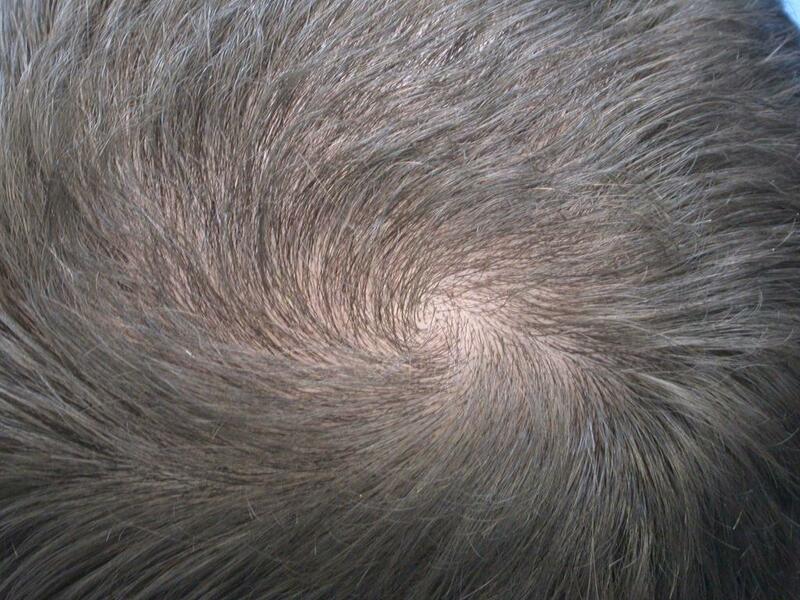 But if your bald spot has a diameter of 2.5 inches, we are talking about a surface area of approximately 32 cm2. 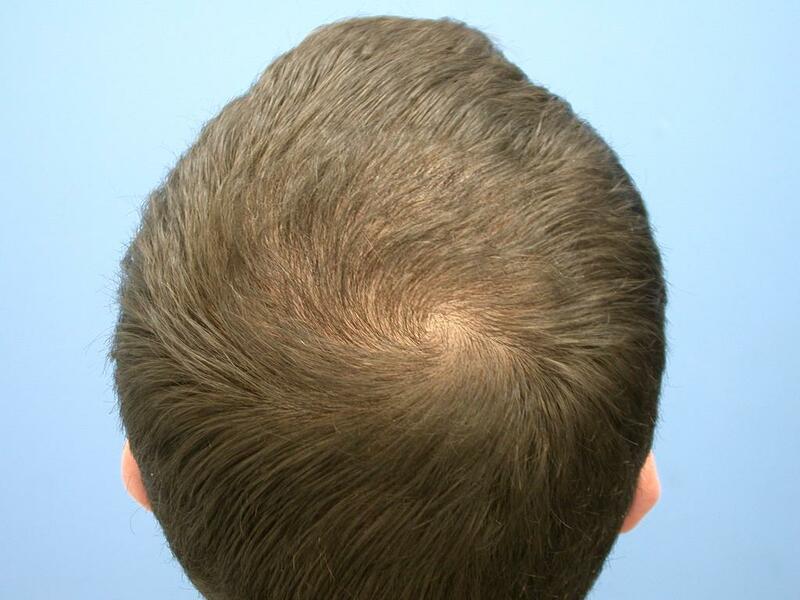 With 2000 grafts, you can achieve a density of approximately 62 grafts per cm2 which I think is MORE than enough for your bald spot unless you want unusually high density there. Perhaps Jotronic or others can confirm this for you. » » months post-op in these photos. » Absolute excelence as usual from Hasson. Do you have the full bio pics? » » » months post-op in these photos. » » Absolute excelence as usual from Hasson. Do you have the full bio pics? H&W + FUE = best hair transplant ever! » » » » months post-op in these photos. » H&W + FUE = best hair transplant ever! Not if you want to get the max # of grafts. Strip is still the way to go if you want to max out your donor. The best that a fue doctor can do is to take out every other follicle over an area but with strip you can use every single follicle over the same area. I think people waste at least half the follicles ecah time they do fue. That seems about right to me. What NW level do you estimate this person was prior to the procedure? » » diameter, will 2000 grafts be enough? » It’s hard to tell from the pic how big. » surface area of approximately 32 cm2. » prior to the procedure? I don’t think the NW scale applies to him. He has no hair loss in the front unless like Therapy said this is his second surgery. Pure artistry. I don’t care how well read one is on transplants, not every surgeon is gifted enough to recreate what nature gave us. Absolutely spendid result!!! » front unless like Therapy said this is his second surgery. 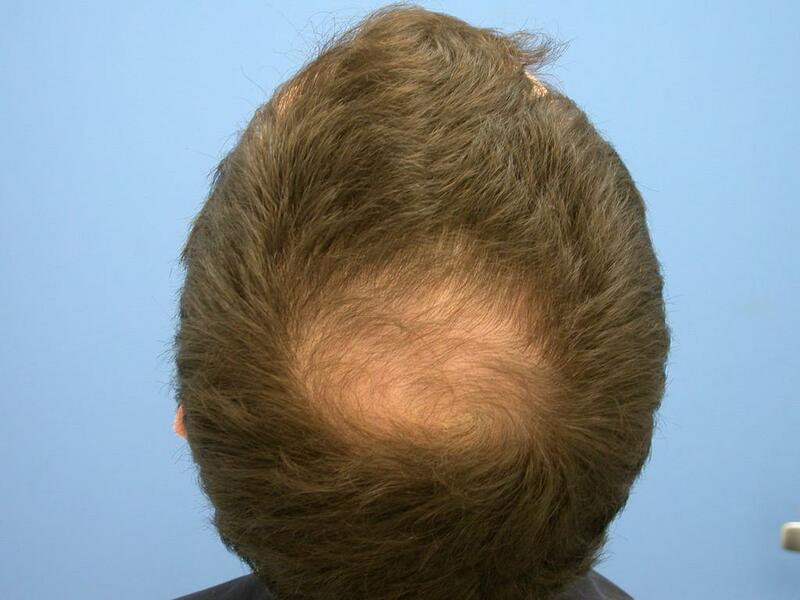 No hairloss in the front implies that the patient has a teenage hairline. Yet, I can clearly see his temples in the before picture. Thanks all for your nice comments. Regarding his age, he is 42 years old and while I agree with the previous poster that transplanting into the crown can be a dangerous option we have developed a reputation for being able to pick and choose the candidates that are suitable for this type of procedure. It’s not just the quality of the work that we strive to keep high but also how we manage the patient’s loss and the future of that loss. As I stated in my initial post the patient has not only stabilized since his first visit several years ago but has also regrown some hair in the crown. His age and the positive medical response is what prompted the decision to move forward. Besides, if we really wanted to cram in the density we could have put 5000 grafts into this same spot so even with the number we transplanted we were still being a bit conservative. Hands down more natural than the one that Dr. Woods posted in the other thread.